The mission of the Village Park Residents' Association is to promote, uphold and protect the interests of residents in all matters affecting the Village area,working with relevant authorities on issues which affect the interests of the residents,and keeping members informed on local issues. The Association (VPRA) is not affiliated to any political party - our only allegiance is to the residents of the Village area of Thornaby on Tees. The VPRA, recognising the need for an Equal Opportunities Policy has prepared the following as the group’s statement of Equal Opportunities and Diversity. (1) The VPRA both accepts and supports the belief that an equal opportunities policy must be a central part of its organisational framework. Recognises for an equal opportunities policy to be effective it must encompass all areas of its activities. * · The VPRA aim to achieve an active membership, which will reflect and represent the wide diversity contained within the area it holds to be its boundaries, and which forms the community, which it is a part of. * · The VPRA will strive to ensure that any and all schemes, events, activities and celebrations it hosts or organises will offer equality of access to all the diverse elements of its community. * · The VPRA will strive to be inclusive in respect of its membership activities and events so as to attract people from all sectors of the community and ensure that such activities do not discriminate against members of any or all disadvantaged groups. * · The VPRA will take steps to ensure that harassment and discrimination on the basis of race, gender, ethnic background, sexual orientation or disability is not experienced by individuals participate in any activities or events which it organises. * · Membership. The VPRA will continue to review membership recruitment strategies to ensure that people from all sectors of the community are encouraged to join and that no particular individuals or groups are disadvantaged. * · The VPRA will endeavour to ensure that the group will have a balanced composition, with consideration being given to the co-option of people from outside the area of their boundaries into the group and its management committee. * · Membership information and other relevant material will be translated into other appropriate languages, as finances become available. * · The VPRA will regularly review their activities in the light of the need to achieve the equal opportunities policy objectives as detailed in the statement above. * · Any Orgs statement on equal opportunities will be displayed on its Web site and be distributed to all management committee members, who will be expected to adhere to the equal opportunities policy and comply with the rules of behaviour as outlined below. * · The rules of behaviour should be viewed in the light of the VPRA’s commitment to the elimination of discrimination and harassment against individuals and particular groups set out in the policy statement in paragraph (1) above. The following types of behaviour are unacceptable. * · Attacks on individuals or groups on the basis of their race, gender, ethnic origin, disability or sexual orientation. 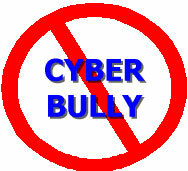 * · Discriminatory name calling insulting remarks, jokes or threats. * · Writing such remarks on walls or other places. * · Encouraging other people to harass or discriminate against another individual or group. * · Provocative behaviour such as the wearing of racist/sexist or fascist insignia or the introduction of similar literature to the site. · A diverse group of volunteers makes your organisation more welcoming to and more representative of the local community. Involving people from a diverse section of the community helps open up new ideas and fresh approaches. The VPRA MANAGEMENT COMMITTEE STRESS. “Our organisation is firmly committed to diversity in all areas of its work. We believe that we have much to learn and profit from diverse cultures and perspectives, and that diversity will make our organisation more effective in meeting the needs of all our community. Thus, we are committed to developing and maintaining an organisation in which differing ideas, abilities, backgrounds and needs are fostered and valued, and where those with diverse backgrounds and experiences are able to participate and contribute.